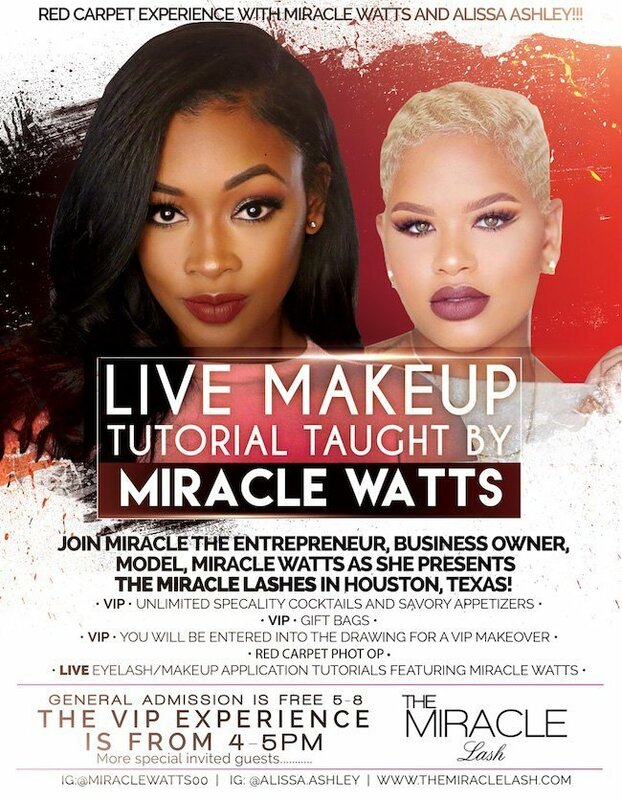 Miracle Watts, a business owner and Instagram famous model presents The Miracle Lash in Houston, Texas. 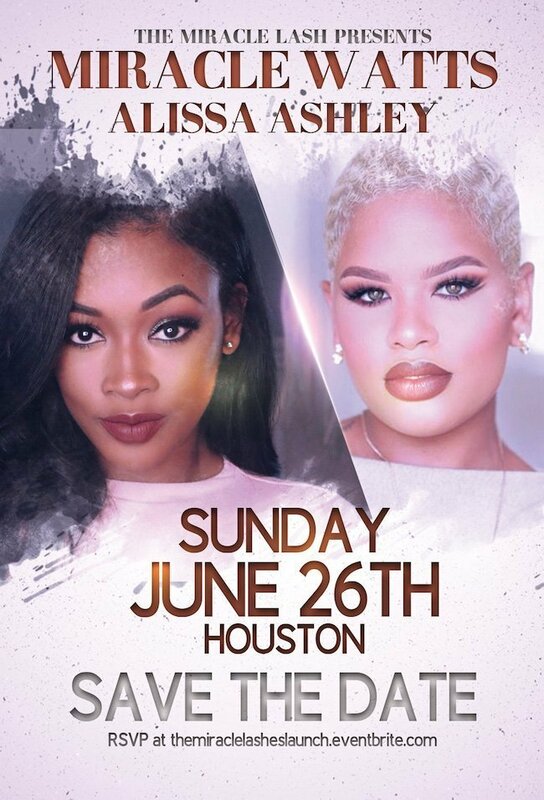 It was cool working with Miracle Watts. We made sure her save the date would make a splash (pun intended). 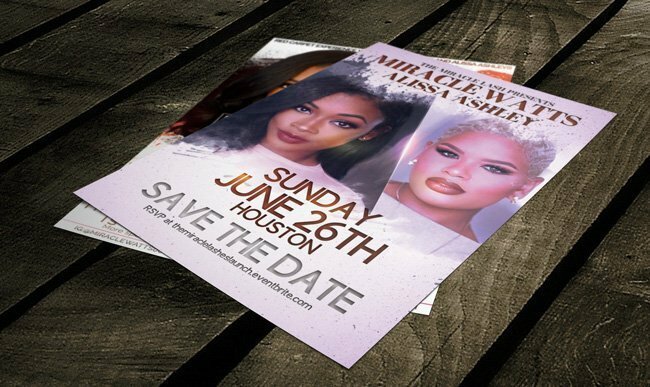 With free creative space on these promotional materials for The Miracle Lash presentation, we went for an artistic look that also had some bling to it.